You get BSOD INTERNAL_POWER_ERROR Windows 10. “Your PC ran into a problem and needs to restart”. “We’re just collecting some error info, and then we’ll restart for you” on your PC screen. If you’d like to know more this error and how to fix it, please read this guide carefully till the end. What is BSOD INTERNAL_POWER_ERROR Windows 10? A Blue Screen of Death (BSoD) is a type of computer error which caused by system crash. 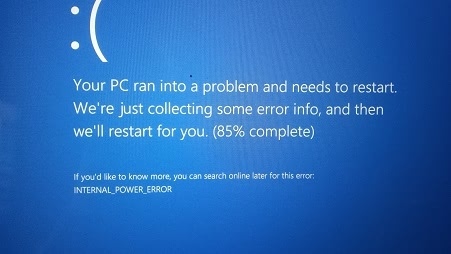 BSOD INTERNAL_POWER_ERROR Windows 10 message indicates a blue screen caused by Bsod Internal Power Error which often brings you a freezing screen when you turn on, shutdown or use the System. This blue screen can also appears during the installation, which a Microsoft Corporation-related Program like as Operating System is running, while a Windows driver is being loaded, or during the Windows Startup and shutdown. Corruption in Windows registry from a recent software change (installs or uninstall). “STOP Error 0xA0: INTERNAL_POWER_ERROR” is displayed. Here are top 10 different Methods to fix BSOD INTERNAL_POWER_ERROR in Windows 10. Please read and follow these methods carefully. Blue Screen of Death (BSoD) Errors are generally occurs due to outdated, corrupted or incompatible drivers. 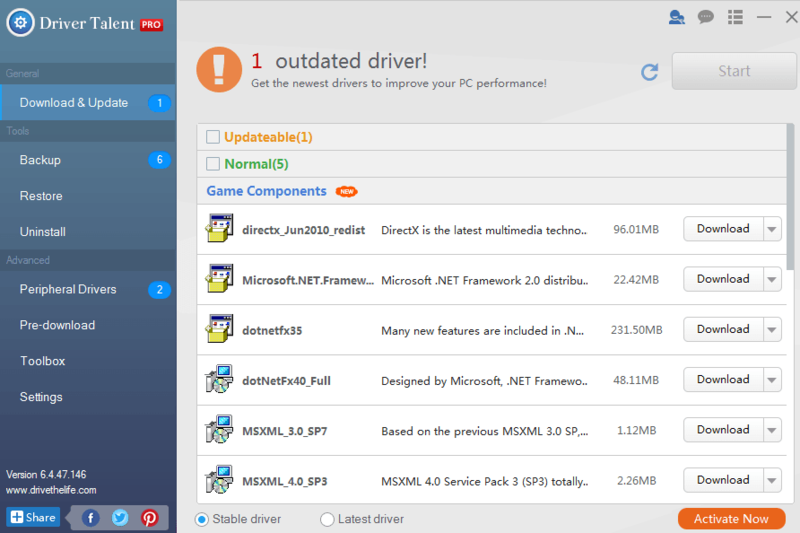 So it is highly recommended to update the outdated drivers on your System. Blue Screen of Death (BSoD) Errors issues caused by AMD Graphic Cards. so disable the AMD Graphic Cards and check of this work for you. 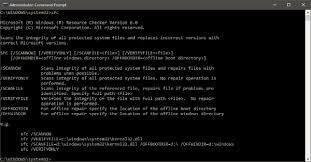 Restart the System few times during boot for starting Automatic Repair or press the Shift key and click Restart. As the Computer restarts a list of options appears> press F5 to choose Safe Mode with Networking. 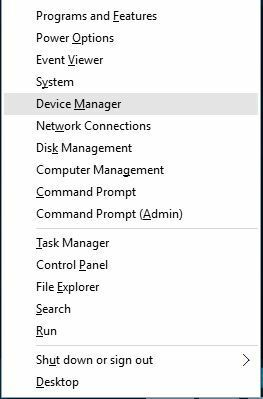 Press Windows + X key > from the list choose Device Manager. Open Device manager > double-click your graphics card. 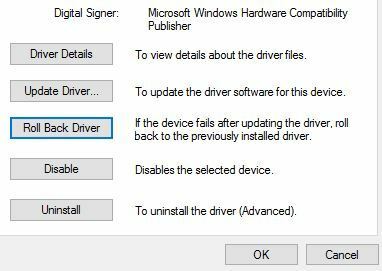 Now go to the Driver tab > click the Roll Back Driver button. 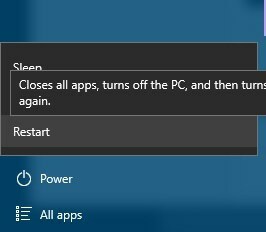 Now check the Windows internal power error if fixed or not. If none of the above manual tricks works for you to fix the INTERNAL_POWER_ERROR error than scan your system with the SFC inbuilt tool. This detects and repairs the system related corruptions and issues. Follow the steps given below. Go to Search > open Command Prompt > Run as administrator. Wait for the whole process to complete (approx. 15 minutes) and restart your system. Use Win + R to open the Run. Type cleanmgr into the dialog box. Choose the Local Disk (C:) by clicking the small arrow to the right. Select categories that you need to remove, such as Temporary files, Temporary Internet Files, System Error Memory Dump Files, etc. 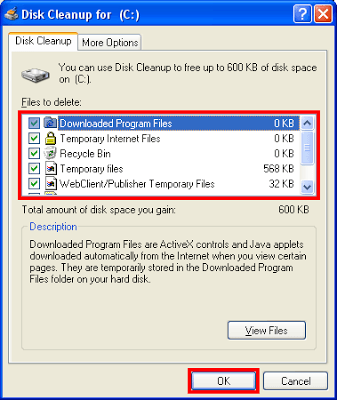 Click Yes or Delete Files to start the cleanup on Local Disk (C:). When your PC is powered on, the BIOS firmware built into the PC is the first software to run. A blue screen often occurs if the BIOS fail in its running or the hard drive support, so it is necessary to check and update the BIOS. If the screen has frozen for a long period, you could try to shut down and start the machine again, and then enter the Windows in safe mode to remove malware files. 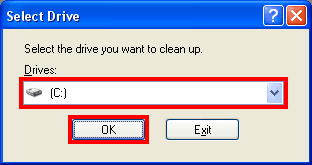 It is easy to remove the malware or virus-infected files on your computer in safe mode because the system won’t load the driver of a third party device in this mode. Programs or applications with similar features may be incompatible with each other and cause conflict in Windows OS, including the blue screen. Check your PC to see if there is similar software, such as similar anti-malware tools, similar music players, similar Internet Explorers, etc. Users often ignore the hardware directly when they run into computer problems. In fact, it is important to check the hardware, like the RAM or GPU, when internal power error blue screen occurs. System restore can be used to solve Blue Screen of Death, which allows you to roll back the PC’s state to that of a previous point in time. When you have tried the solutions above but none of them can fix the problem, you could try the last method: a clean system installation. Though this may be a time-consuming process and will erase all on the hard drive, but it really troubleshoots the Bsod Internal Power Error issue. I hope, all the above mentioned manual methods will help you to fix BsoD Internal Power Error properly in your Windows 10 System. If you will get the problem to handle the manual guide then you can also use automatic removal tool that help you to easily fix BSOD INTERNAL_POWER_ERROR Windows 10.